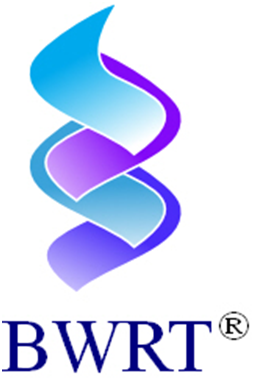 'BWRT®' – Brain Working Recursive Therapy is a fast Non Hypnotic technique, it is an extremely effective innovative therapy which is almost entirely content free. This means there is often no need to talk about issues which are potentially very personal or painful It is really only necessary for you to have an idea of what the problem is that you would like to change and how you would like to be instead. Fears, phobias, anxiety, low mood, social unease, habits, anger, even severe difficulties that have lasted for years can be effectively resolved and often very quickly when working with a registered BWRT® Practitioner. As a fully qualified and experienced Advanced BWRT® Practitioner I would simply guide you through a process whereby you are able to resolve problems/ habits/ unproductive patterns of behaviour by creating natural change that comes from within you by focussing on your preferred outcome to a situation. Advances in Neuroscience – Neuroplasticity have proven the Human Brain has the ability to rewire neural pathways reorganizing itself and forming new neural connections, negative patterns can be changed and a new and far more constructive patterns of thinking adopted. It is a powerful and effective process that can rapidly create profound personal changes that might typically take longer to achieve with other forms of therapy. As a Certified Advanced BWRT® Level 1 and Level 2 Practitioner I have received thorough training in this modern methodology and I am experienced in work effectively with a great number of human problems and conditions. As a member of the Institute Of Brain Working Recursive Therapy I adhere to a strict code of ethics and am required to undergo continual professional development to ensure I remain up-to-date with any new developments for this innovative and dynamic therapeutic intervention. I am able to work with clients face to face, via Skype or FaceTime (subject to agreement).